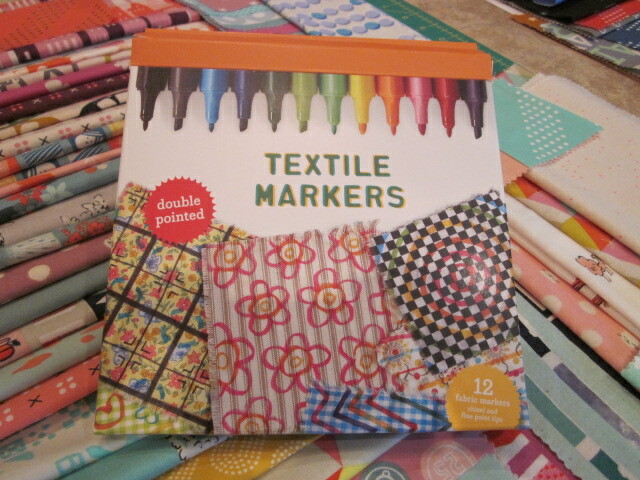 I have had a number of questions about the markers used by Taylor and Ella to draw their quilt blocks. I purchased these from Target awhile ago. They are my Kid Made Modern. I see they are available on line from Target. Go to kidmademodern.com. You will find the Target link. I did heat set the drawings, but they seem very durable and did so just to be safe. I finished Taylor’s quilt today and it is off to the quilter tomorrow. I can’t wait to show him the quilt. One quilt down, one to go. I must get started on it tomorrow. Neil and I have just returned from a delightful trip to Iceland, where we spent our 49th wedding anniversary. Certainly, 49 years ago, it never entered our minds that we would be in Iceland for the occasion. This was our 4th trip to that wonderful island country. Twenty some years ago, I met Gudfinna and Helgi, the owners of Virka, a fabulous quilt shop in Reykjevik. She arranged a seminar in her store for me to spend a few days with her customers. That started a love affair with the country and the people as well as a wonderful friendship with dear people who we consider the real treasure of the island. We always stay with them their home and have met their children and now grandchildren and experience the culture the way everyone should be able to get to know a country, its customs and its people…through the eyes of those who love their country and are proud of every square mile. They have made sure we have experienced everything wonderful there is to see and taste in Iceland. We have also been able to spend time on their private little cluster of islands off the east coast of Iceland, which is difficult to explain how wonderful that experience is. 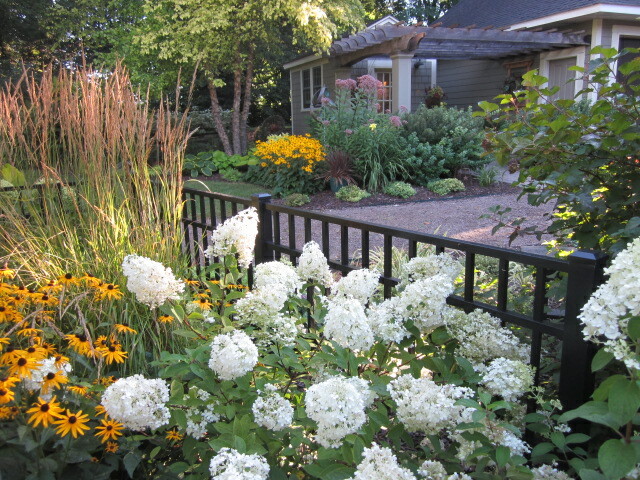 We have been there in every season of the year and all have been wonderful…even experiencing the days of 24 hour sun. But, for me, August is the best. 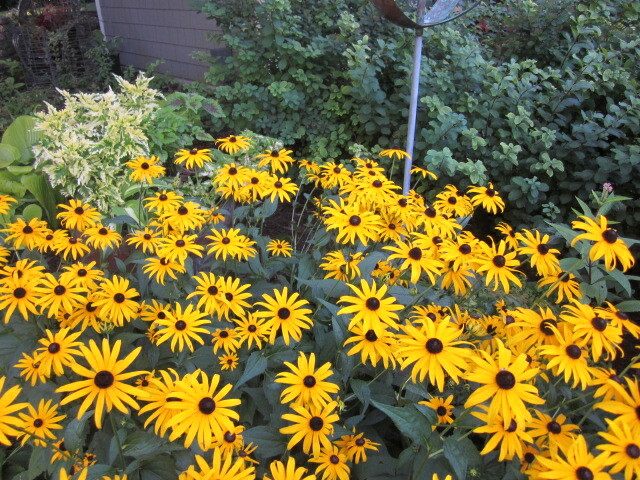 By now, I am really eager for some relief from the heat an humidity of the summer and the busy summer schedule. It is cooler there, but not cold as many people think. It was a wonderful break for us and a truly restorative vacation. Our thanks to Gudfinna and Helgi for another wonderful visit. In the end of it all, the friendhsips that I have developed over the past 30 years of being involved in the quilting industry, are the most valuable part of having my little Thimbleberries business. Of course, when we returned, there is a lot to catch up on. 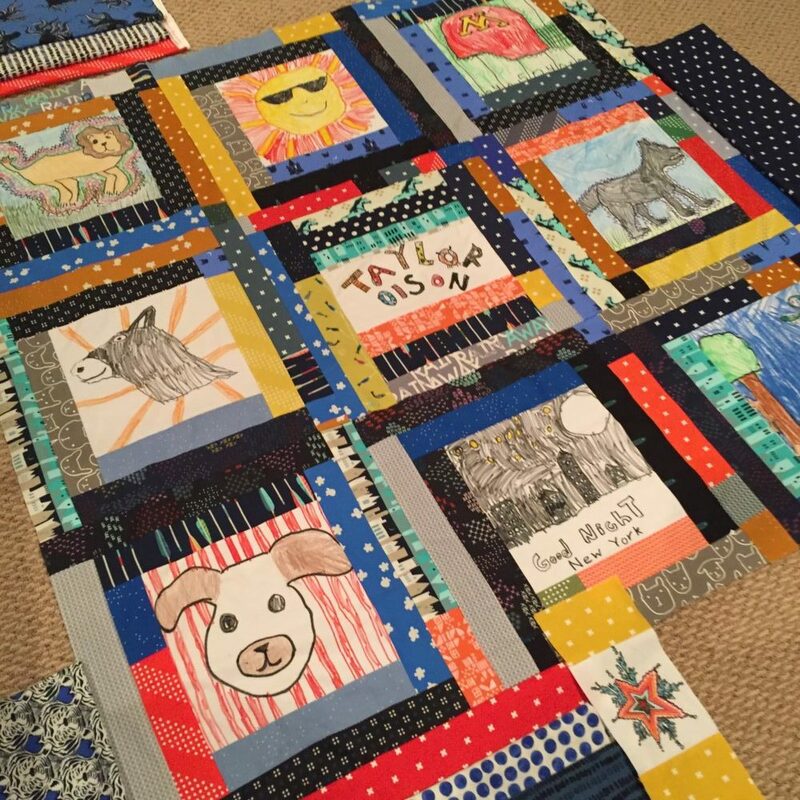 Aside from the new book that I am working on with my team, there is a lot of pressure here to get the quilts I am working on with my grandchildren, Taylor and Ella ,on their way. They have finished drawing their blocks and would like to see those quilts done ASAP. This weekend, I sewed Taylor’s blocks together and collected fabrics (Cotton+Steel fabrics leftovers from the quilts from the new book) for the borders. As usual, I don’t have enough of anyone fabric so the borders will be a “mixed bag”, just like the stripping around the blocks. It just might be best…it will look like I planned the whole thing, when in fact, every pieced used was a left over fabric. Check it out so far. I will get the borders on this week and off to the quilter. And then, Ella’s is next on my list. The dog block below is my personal favorite. We have had our share of wild storms this summer. 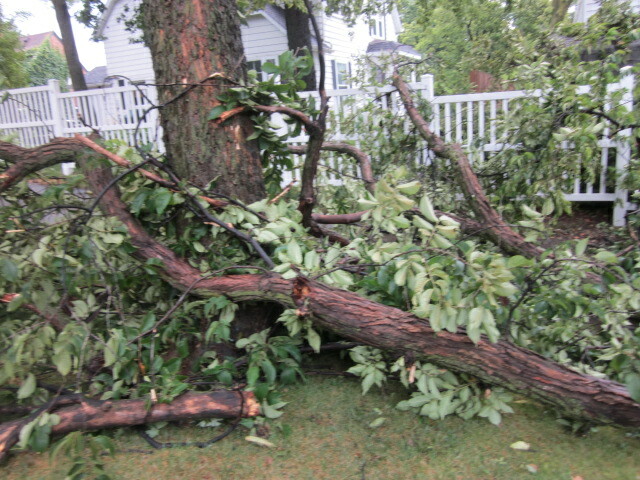 The rain we get seems to be combined with high winds and hail making yard work and gardening a challenge. 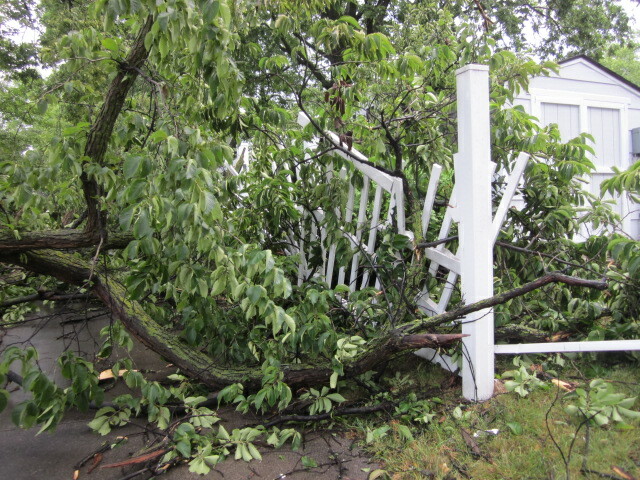 This week, one of our 80 foot trees took a hit and did a little damage to a few fence sections. Clean up took care of anything else I had planned to get done this week. 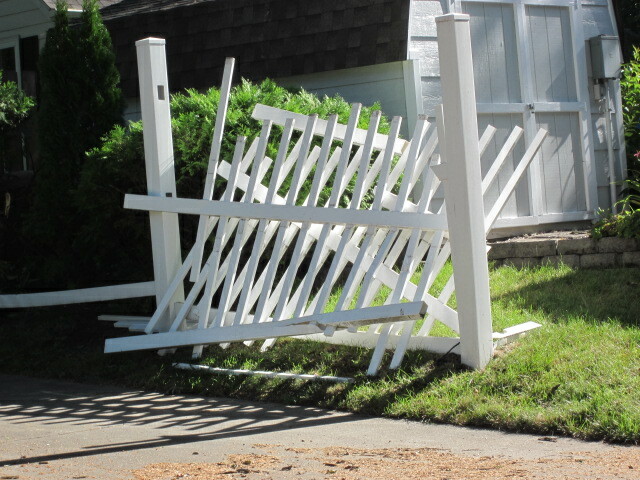 As always, property damage is a pain, but it could have been so much more worse. 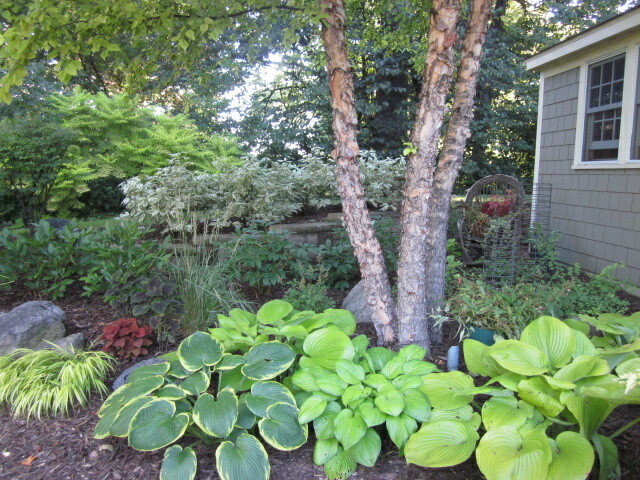 Other parts of the garden are now coming into the late summer bloom time. 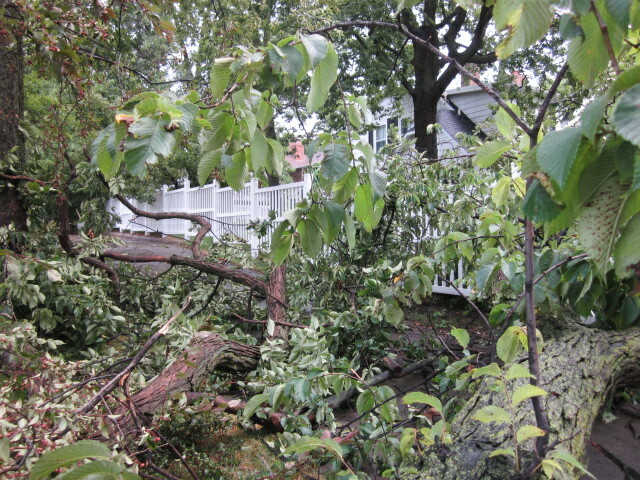 The wind flattened some plants and grasses, but they will probably recover. This is what is blooming now. 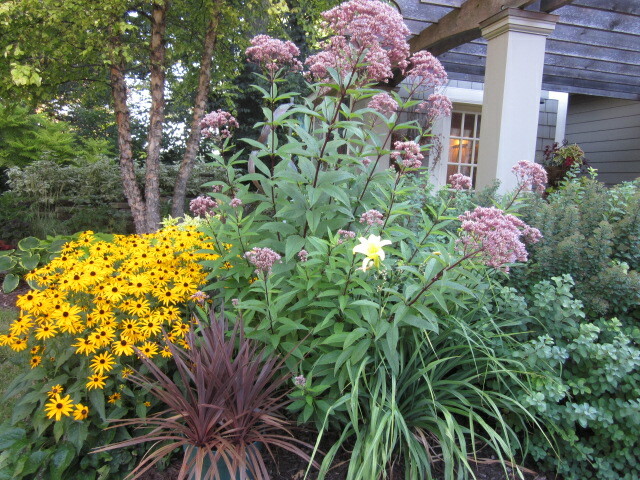 The next phase will involve fewer blooms, but the foliage will start to change adding another color profile to the garden. 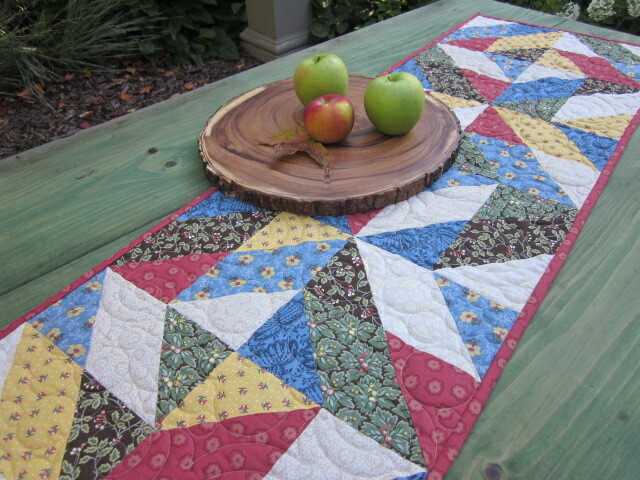 My September Project of the Month offered by Fons and Porter Love of Quilting is this delightful Kaleidoscope Runner with a bonus scrap project for pillow shams. The runner reminds me of the simple kaleidoscope toy that has charmed children forever…shards of color falling into place. It is a generous runner and a snap to make. 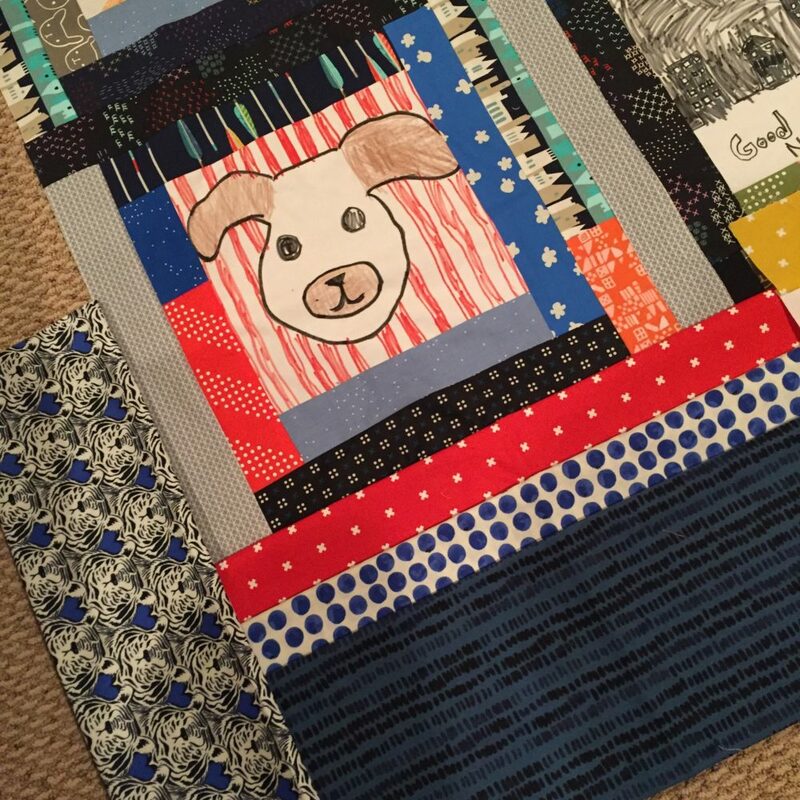 Patterns and kits for all 12 months projects are available from Fons and Porter Love of Quilting.